Our design process begins with an initial consultation to understand and review your style and vision for your outdoor living space. We work with you to appreciate how you plan to use the space and how you want it to feel. We examine your home’s existing architecture to ensure continuity and flow to your new outdoor living space. Taking into consideration locations, views, site conditions, and accessibility, we design your landscape or water garden to flow from inside your home to outside. We can establish a budget to build your project prior to the design phase. At Anderson Landscaping, we feel your green spaces are as much as part of your personality as is the interior of your home. We strive to work with you in creating a design that suits you and your lifestyle. Anderson Landscaping can design and create walkways throughout your landscape, giving you easy access to the joy your backyard can bring. Combining all the elements of design, color, contrast and balance, we create an exceptional landscape that you can be proud of. We work with you at every step of the design process and inform you on every tree and shrub that goes into your landscape. 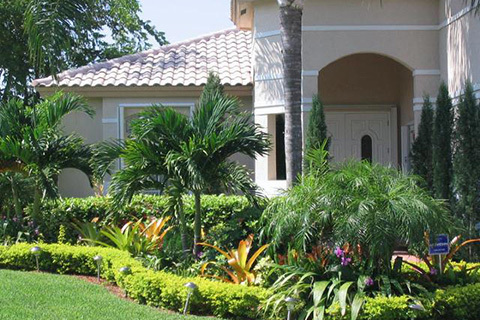 We provide irrigation improvements that will help ensure the correct watering of your new landscaping. We can provide you with detailed information to help you care for your valuable investment, providing you with years of pleasure.